Abu Dhabi: Experts from all segments of society will have to play a key role in helping to create policies to protect every child’s right to dignity and safety online, scholars told an Interfaith Alliance Forum on Monday. More than 800 million children and adolescents are exposed to criminal behaviour online. Around one in eight young people in the world have been bullied on social media and nearly one billion children and youth are online, the forum heard. However, it is estimated that up to $20 billion annual revenue comes from the child sexual abuse material industry. Since around 85 per cent people globally identify with various religious faiths, experts noted, it’s essential to equip faith leaders with the knowledge and tools to address a range of modern day issues pertaining to children’s safety online and protecting them from cybercrimes. 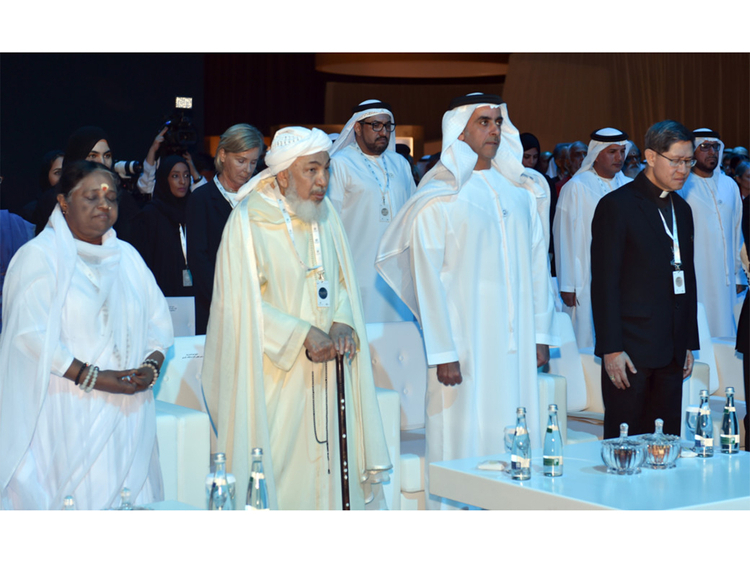 Held under patronage of His Highness Shaikh Mohammad Bin Zayed Al Nahyan, Crown Prince of Abu Dhabi and Deputy Supreme Commander of the UAE Armed Forces, the Ministry of Interior (MoI) organised the first “Interfaith Alliance For Safer Communities: Child Dignity in the Digital World Forum” in Abu Dhabi. Religious leaders, scholars and information technology experts from around the world are participating in the two-day forum to discuss the child dignity in the digital world. Lieutenant General Shaikh Saif Bin Zayed Al Nahyan, Deputy Prime Minister and Minister of Interior, who opened the event said, “We are here today, following in our predecessors’ footsteps to reinforce the messages of tolerance that they shared with us. “The majority of the world’s countries and religions are focused on improving the world and as leaders within your communities it is your role to spread the spirit of humanity and tolerance,” he said. It is a gigantic task as out of 3.7 billion internet users worldwide, one million are child predators, said Sonya Ryan, Founder of Carly Ryan Foundation whose daughter was a victim of cybercrime. She said that about 3 million messages are posted on Facebook in a minute, 400,000 tweets and 200,000 photos on YouTube per minute. According to the “We Protect Global Alliance”, a partner in hosting the Interfaith Alliance for safe communities in Abu Dhabi, there will be 5 billion proposed smartphone users in 2019 and currently 80,000 unique images of sexual abuse are uploaded per month and 15 billion messages are sent every day online. However, the concept of schooling peaceful communities for bringing up children is not exclusive to the Muslim faith, he said. Baroness Joanna Shields, the former UK Minister for internet Protection and Founder of We Protect Global Alliance, said: “We now find ourselves in a new world and we must look towards religious leadership to work together towards a better future for our children. — 800 million children and adolescents exposed to criminal behaviour online. — 80,000 unique images of sexual abuse are uploaded per month. — Every seven minutes, the IWF finds a webpage that shows a child being sexually abused. — 5 billion proposed smartphone users in 2019. — 42% compound annual growth of internet access between 2016 and 2021. — 350,000 new users every day. — 15 billion messages sent every day.